The new Steam Chat is here and it’s pretty great, even if it won’t woo entrenched PC gamers from Discord. But there’s one aspect that isn’t so hot: Every time you open Steam, your friends list and the new chat automatically opens up in another window. Arg. The options menu doesn’t offer any obvious tools to stop it from happening, but fortunately, you can stop the new Steam Chat from opening when you launch Steam a couple different ways. The first method is simple. By default, Steam is supposed to remember your Chat status when you launch the application. So if you don’t want Steam Chat to launch when you open Steam, close your friends list before you shut Steam down. Easy-peasy. This method’s worked like a charm for me, but Steam community posts suggest it isn’t always reliable for everybody. 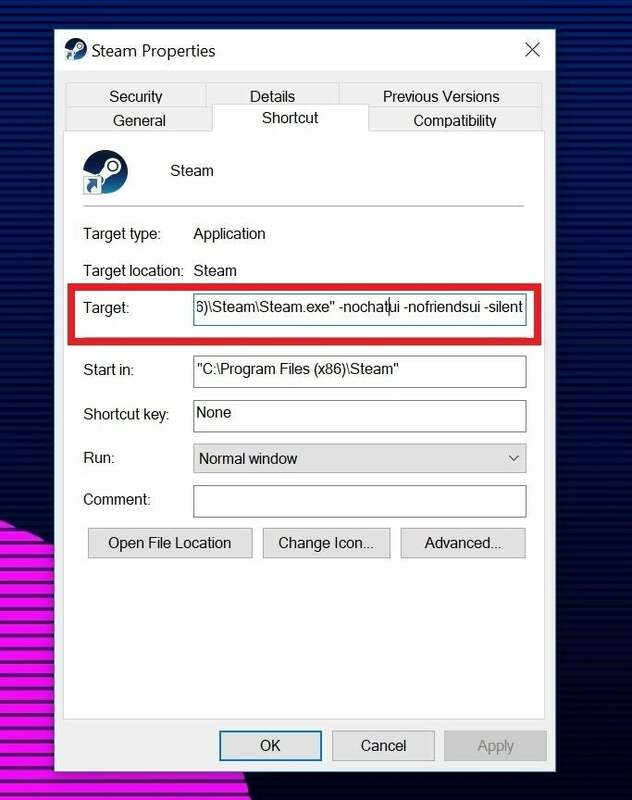 If Chat’s still popping up when you open Steam, you can move on to a more drastic measure: modifying the desktop shortcut’s target path. 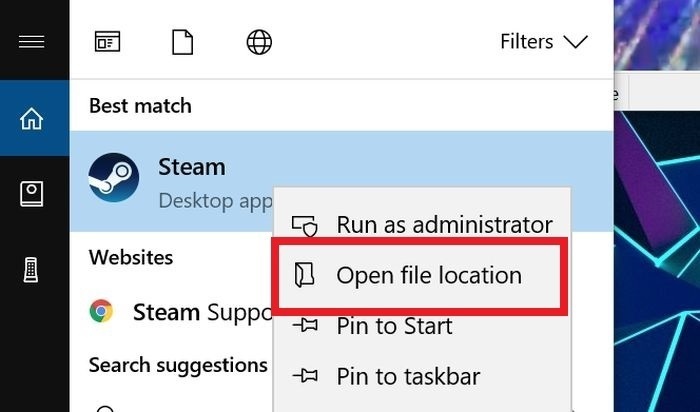 Finding Steam using Windows search. Click OK to save your changes. The next time you open Steam, Chat and your friends list will no longer pop up and bother you, though you can still manually open it by clicking the “Friends & Chat” button in the lower-right corner of Steam’s interface. Enjoy the newly hassle-free experience, and be sure to check out our guide to 17 more Steam tips and tricks that can level up your PC gaming.